Experienced coroner Tommy Tilden and his son Austin run a family-owned morgue and crematorium in Virginia. 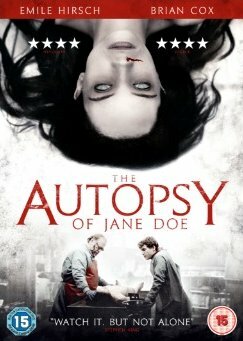 When the local Sheriff brings in an emergency case – an unknown female corpse nicknamed ‘Jane Doe’, found in the basement of a home where a multiple homicide took place – it seems like just another open-and-shut case. But as the autopsy proceeds, these seasoned professionals are left reeling as each layer of their inspection brings frightening new revelations. Perfectly preserved on the outside, Jane Doe’s insides have been scarred, charred and dismembered – seemingly the victim of a horrific yet mysterious ritualistic torture.